Read more about our club, and a download our club brochure here! The Kiwanis Club of Pleasant Grove is a member of KIWANIS INTERNATIONAL (www.kiwanis.org), representing 80 countries around the world including over 628,000 members in its family of clubs. Our defining statement: Kiwanis is a global organization of volunteers dedicated to changing the world, one child and one community at a time. The six objects of Kiwanis can be found on most all of our literature and are the pillars of Kiwanis’ 100 year existence. The Kiwanis Club of Pleasant Grove was chartered in 1950 and has been a driving force in the Pleasant Grove/Southeast Dallas community. 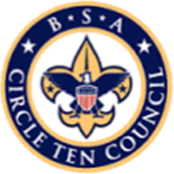 From youth clubs, to Boy Scouts, to Hopeful Solutions, this club has had many experiences and various forms of sponsorships in many charitable activities. Grants from Kiwanis International Foundation, as well as other club fundraising efforts, allow us to send children to our signature event FREE of charge. Approximately, 80 campers 8-11 years old, enjoy Jerry’s Dream Camp (formerly Camp Kiwanis), a vision and dream of the late, longtime member Jerry Diffee. He sought to provide a safe sanctuary for inner city youth – a reprieve from the peer pressure issues and problems. We honor Jerry’s memory by providing two weeks of summer camp at the Hidden Acres Retreat in Kaufman County. A fun and welcoming environment allows each camper to mature spiritually and relationally. Endless fun, wonderfully abundant food and super staff – that’s what summer camp is all about! We are proud members of the Division 2, Texas/Oklahoma District and the Southeast Dallas Chamber of Commerce. We provide support to many of our local nonprofit partners and strong financial support to our local Boy Scouts, Hopeful Solutions, The Pleasant Grove Food Pantry and Reading is FUNdamental. Along with the Southeast Dallas Chamber of Commerce, we are co-producers of The Southeast Dallas Community Golf Classic and GroveFest events.